Hamster Club :: Hamster-Club.com featured again in local newspapers! Hamster-Club.com featured again in local newspapers! Apart from being featured on 'Il-Mument', Hamster-Club.com was also recently featured in Thursday’s 22nd January 2009 newspaper ‘The Malta Independent; Crackers Magazine' which is one of the most popular newspapers in Malta. Our mission statement made the success of our club since we give an excellent service in a fair and ethical manner to all those who seek hamster advice. Monthly newsletters are sent to our subscribed members with new updates and information. 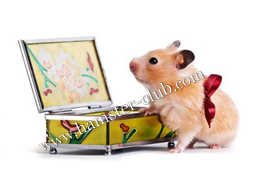 Feel free to e-mail Hamster-Club here.